2016 has flashed by and what a year it was. I’d like to thank you for your support throughout my maiden year in the Supercars Championship Series and to everyone who have assisted me during my career. I look back over the season with great memories of racing door to door with drivers I aspire to and I now have even more appreciation of the competitiveness of the series. Having gained a Pole Position and other encouraging top ten results, I know that with another couple of years, I would build confidence and with that would come consistency. I’m still working hard and actively seeking sponsorship which will determine whether I'll be on the grid next year. Thank you to my sponsors and fans for your passionate support. You make it possible for me to chase my dream and I love sharing the ride with you. All the very best for Christmas and the New Year and I hope to see you at the Clipsal 500, Adelaide in 2017. It’s a very nervous time for me as I’m unsure where 2017 will take me. I currently don’t have a drive so I’m working hard to seek opportunities and find the sponsorship to secure a seat for next year before they all dry up. Progressing into the Championship Series was a big step up and I feel I have grown a lot as a driver this year as I strive for success. Gaining a Pole Position in my rookie season was a massive confidence booster, so I know I can run at the front and the consistency will come with experience. I’m more motivated than ever and I hope I can continue to push myself in the Championship Series to progress to my full potential. Ice Break's continued support has been amazing, without them I wouldn't be where I am today and enjoy such a huge following of passionate fans both here and in New Zealand. Thank you to everyone who has supported me, I look forward to finishing the year on a high at the Coates Hire Sydney 500 next weekend. It's been a huge 2 months, featuring Bathurst 1000, Bonnie & Clyde, the GC600, the Noosa Tri and the ITM Super Sprint! The Pirtek Enduro Cup included three events: The Sandown 500, Bathurst 1000 and Gold Coast 600. We had some highs including a strong qualifying result at Bathurst, where I set a 2.05.68m lap - just missing out on the top ten shoot out by .10s. We were in good shape during the race running comfortably in the top ten. Unfortunately, a miscalculation late in the race resulted in me being instructed to drive to a fuel number lower than necessary, which dropped us out of the top ten to finish in 12th place. As you may be aware, I have been supporting young and upcoming drivers with coaching and mentoring, focusing on fitness training, driving skills, networking and personal development both in and out of the car. Most recently I've been working with Chelsea Angelo. It was great to see all our hard work come together for her to compete at Sandown and Bathurst in the Dunlop Supercar Series. 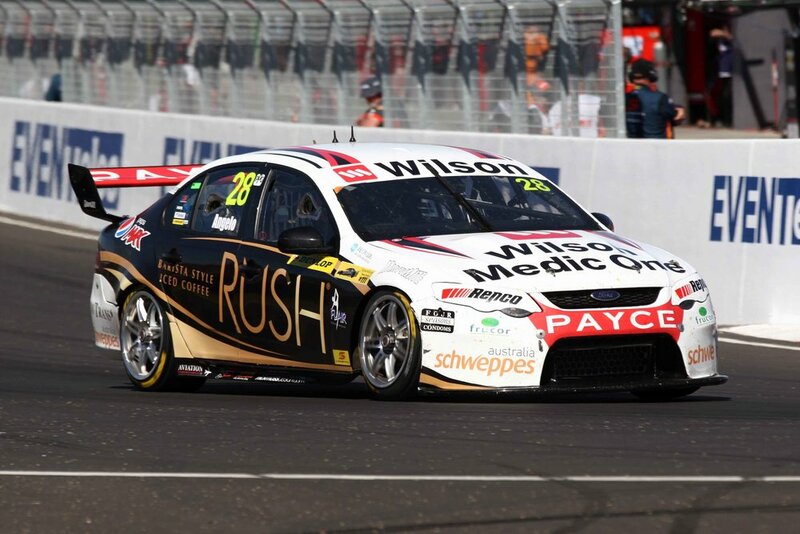 The Rush Iced Coffee/Wilson Storage Falcon looked awesome. Chelsea showed her potential and has begun to make her mark in this predominately male dominated sport. Thanks to everyone who jumped on board to make this possible. I hope Chelsea's success will lead to more opportunities for her to continue chasing her dream. Next stop was the UCB Conference on the Gold Coast, which I really enjoy being involved with each year. It was a great catching up with everybody there and being a guest at the Ice Break go kart challenge, although, observing some of the driving I’m glad I wasn’t out on track... After a fun night at the Heroes and Villains UCB Awards, it was time to get into race mode for the Castrol Gold Coast 600. We had a decent run in with a top ten finish in Saturday’s 300km race. Heading into Sunday our aim was to improve on Saturday’s result. Unfortunately, this wasn’t to be. I didn’t get the chance to get into the car on Sunday after my co-driver sustained damage from contact while attempting a pass, which put us out of the race. 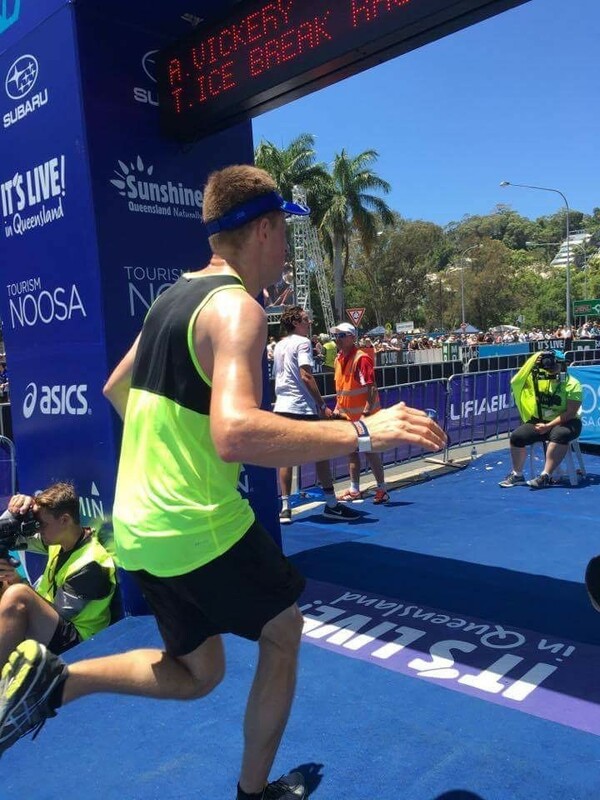 From the Gold Coast, I travelled north to Noosa for my slowest race of the year; the Noosa Triathlon. This was my second year taking part in the team event, so we were proud to achieve our goal of improving our overall category result from last year. It’s a fun way to mix up my training program and push myself. I highly recommend this event to anyone who is interested in challenging themselves regardless of their fitness level. 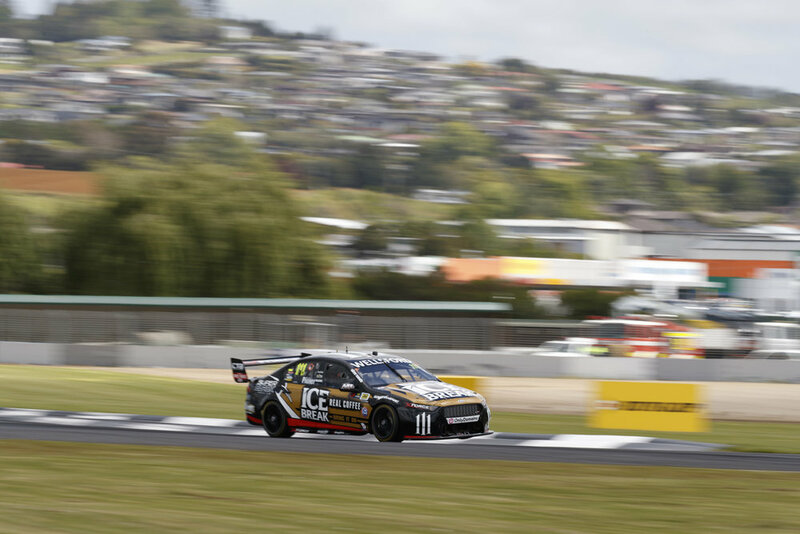 Next it was back on the plane to New Zealand for the ITM Auckland SuperSprint. 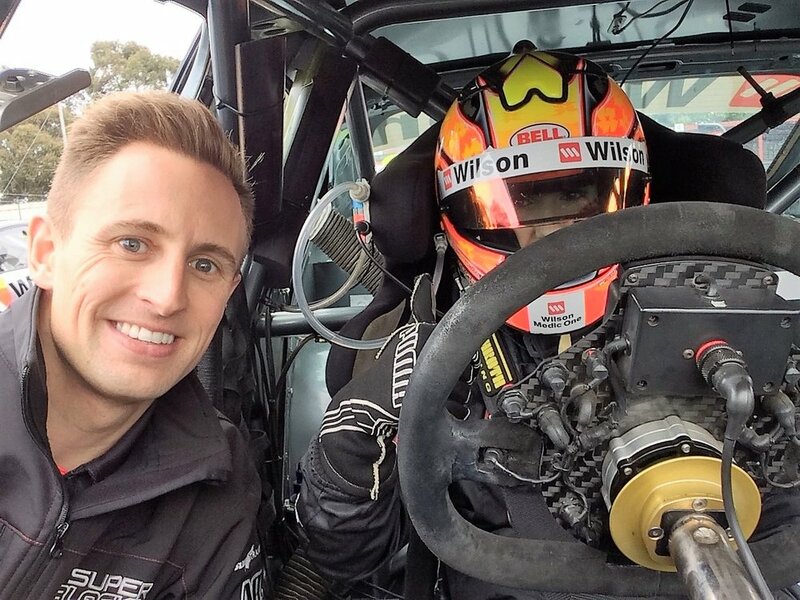 I was very excited to race in the Supercars championship on my home soil for the first time. Driving for Super Black Racing Powered by Ice Break, the only NZ owned team was a privilege and the support we received was amazing. Six years had passed since I last raced at Pukekohe Park Raceway in the NZ V8 Ute Racing Series. The track had been altered along the back straight but it was still just as bumpy and exciting to drive! On track the weekend didn’t bring the results we were striving for. All weekend we struggled to find a comfortable balance and get the car to ride the bumps well over the hill and through turn 1. We worked hard and made some improvements but didn’t unlock what we were chasing. In the first race, I got a great start moving up 4 places. 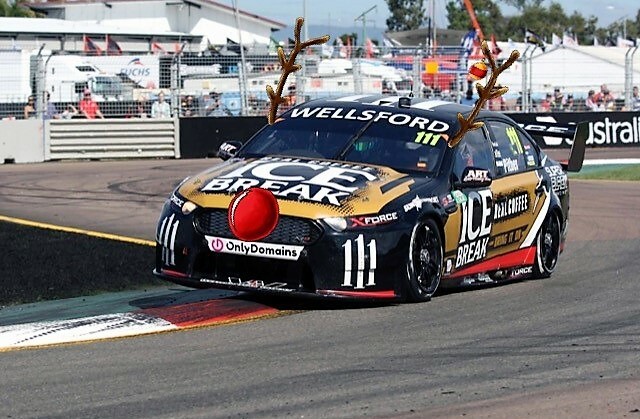 As you may have seen in the TV coverage, contact with Jason Bright left me with a drive through penalty for something I believe was a racing incident. 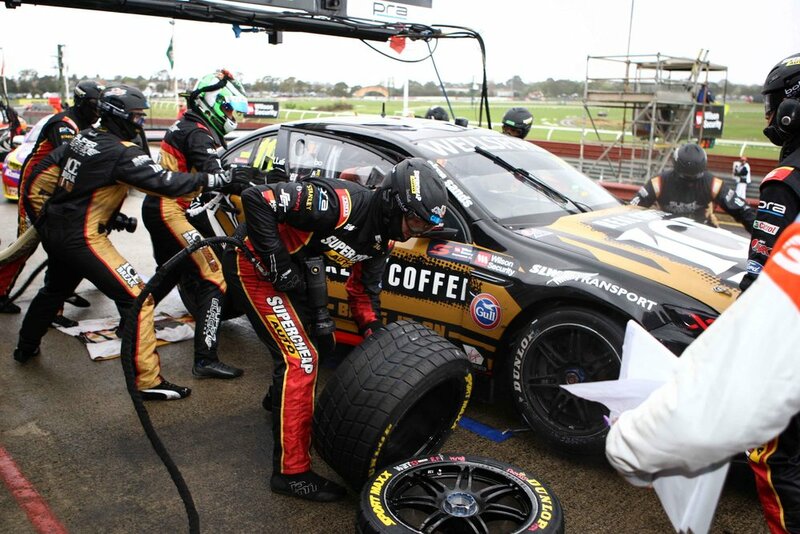 Our luck didn’t improve much on Sunday, despite qualifying slightly better than we had on Saturday. Contact from Cam Waters diving up the inside at the hairpin from two positions back resulted in being spun and re-joining at the back of the field. We will evaluate the tough weekend, learn from it and come out fighting to end the season on a high at the Grand Finale for the Coates Hire Sydney 500. Thank you to everyone for your passionate support and backing us through the highs and lows. I hope we can bring home the year with more results we can all be proud of. PS. Congrats on making it to the end of this supersized update... you deserve an Ice Break mate!